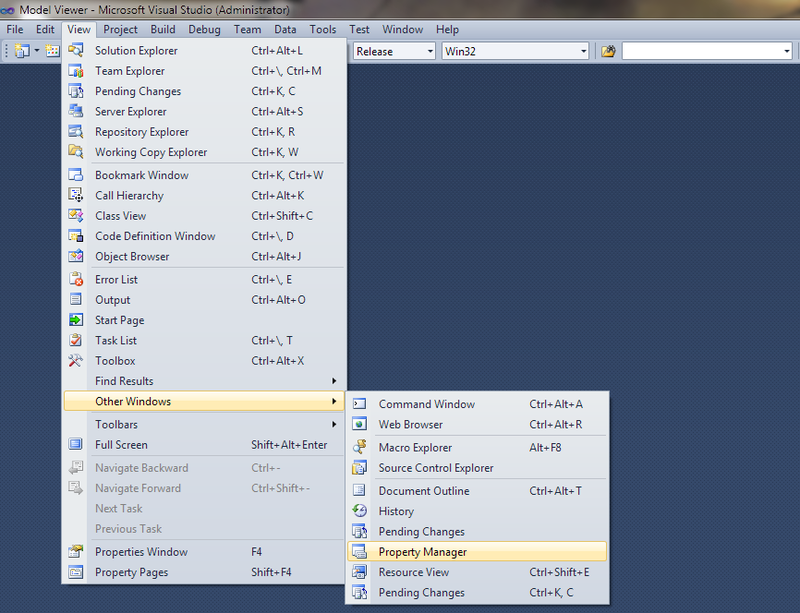 So I had a bit of time this morning and finally upgraded to visual studio 2010. There are a lot of changes but I am really enjoying it. It is a definite improvement over VS2008, some features that I have been begging for for years are finally in and the interface has been cleaned up significantly. The new help system takes a bit of getting used to but it is only the first version and they promised that some massive improvements are coming. Now Getting DX integrated with VS2010 was a bit tricky as the installer doesn’t automatically as the SDK include and lib folders to the default include/lib folders as it did in VS 2008, and it requires a bit of fiddling. Step 1: Open up the “Property Manager” under the “View” menu. 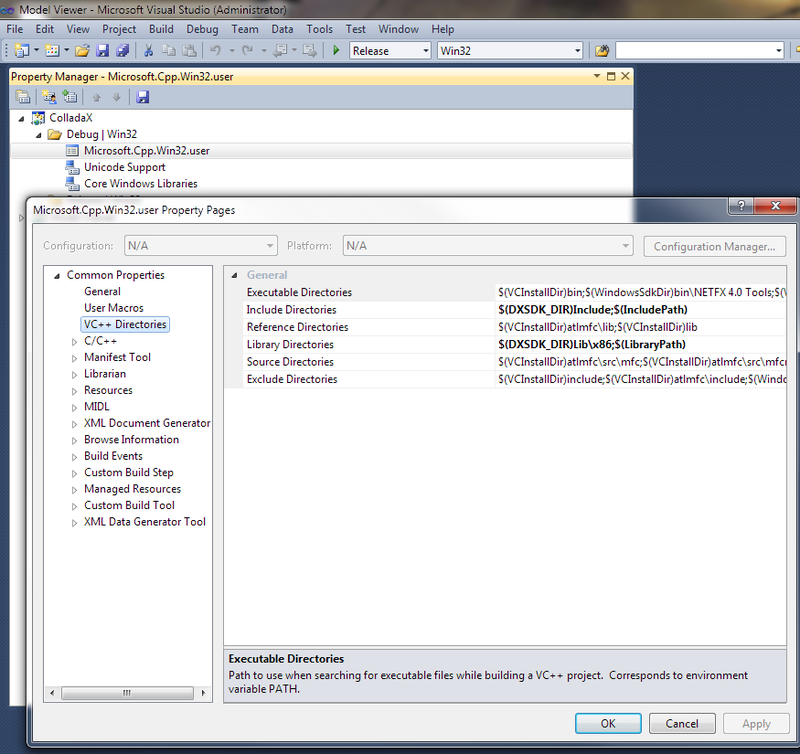 Step2: Expand the project/configurations tree and select the “Microsoft.Cpp.X.user” user file. Right click and select “Properties”. 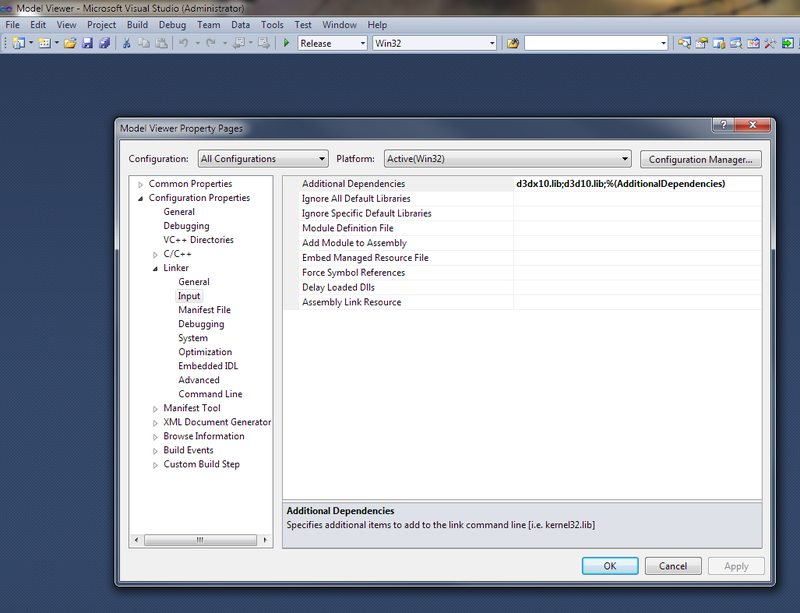 Step3: Add the DX SDK include and Lib folders to the appropriate VC++ directories. Use the $(DXSDK_DIR) macro to future proof the setting. Click Ok, then exit VS2010, you will be prompted to save the user file, click yes and from now on the DXSDK folders will be set for any future C++ projects! 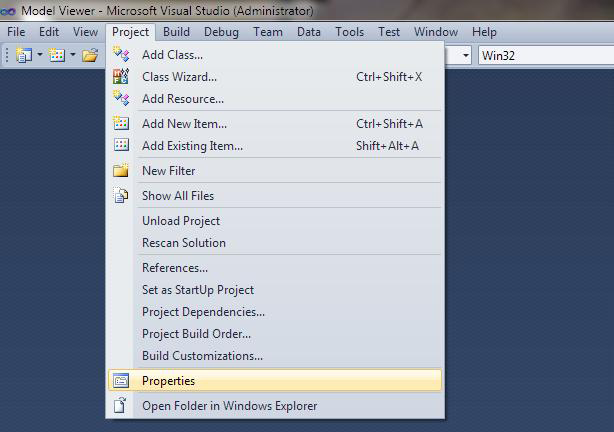 Step1: Select the project properties from the project menu. Step2: Expand the “Linker” section and select “Input” and under “Additional Dependencies” add the necessary lib files (D3D10.lib & D3DX10.lib). NOTE: Make sure you select “All Configurations” from the drop down list in the top left hand corner, otherwise the lib files will only be loaded for the currently selected configuration. yeah, well, ive checked everywhere on my project properties. The linker section does not exist on it anywhere. Why can i not see it? make sure that you have at least one cpp file in the project before trying to set the linker options. They dont appear until you do. Thanks for this good sir! Thank you! I’ve looked for this solution before but never stumbled on your blog until today. Thanks I started to code in DirectX again and forgot where to put the header files. I cannot just set include and lib directories via properties for about 80 of ClanLib examples. I must make it globally. Thank you. You have help me upgrade a VC++ 2008 DirectX game to use VC++2010. I’m a Newbie, follow all steps u suggest, when run, it shows an error. fantastic publish, very informative. I ponder why the opposite experts of this sector don’t understand this. You must continue your writing. I’m sure, you have a huge readers’ base already! thanks a lot, this was very helpful.